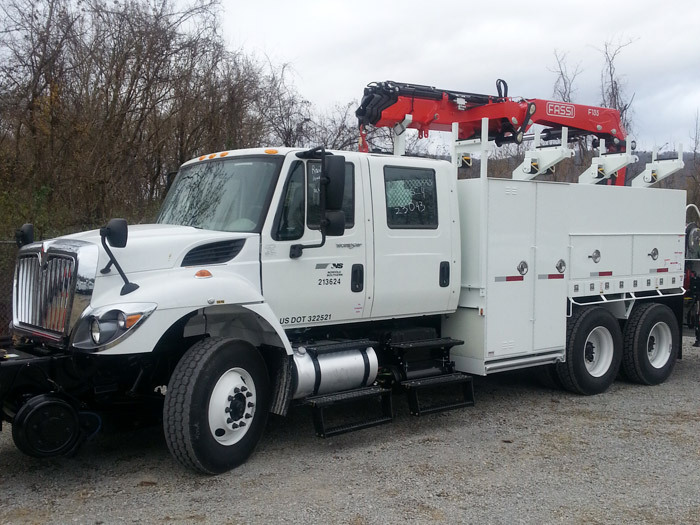 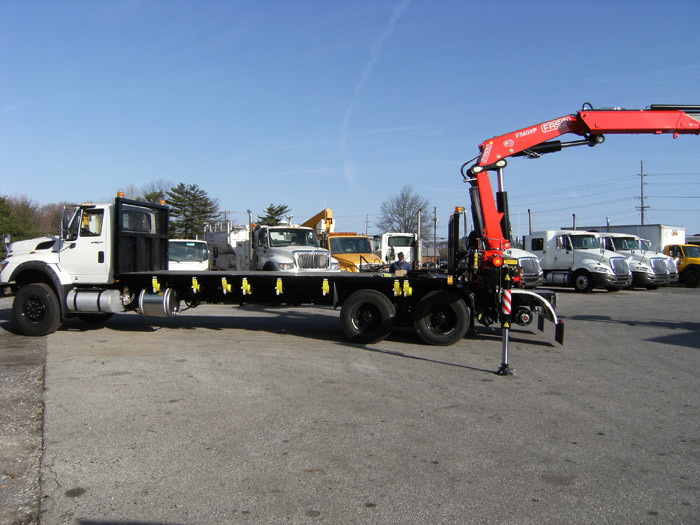 Recent Projects: FASCAN International, Inc.
Congratulations to Norfolk Southern on their purchase of their first Fassi F135A.2.23! 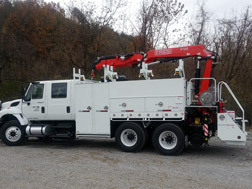 Job well done by Cherokee Truck Equipment with the install and stability testing! 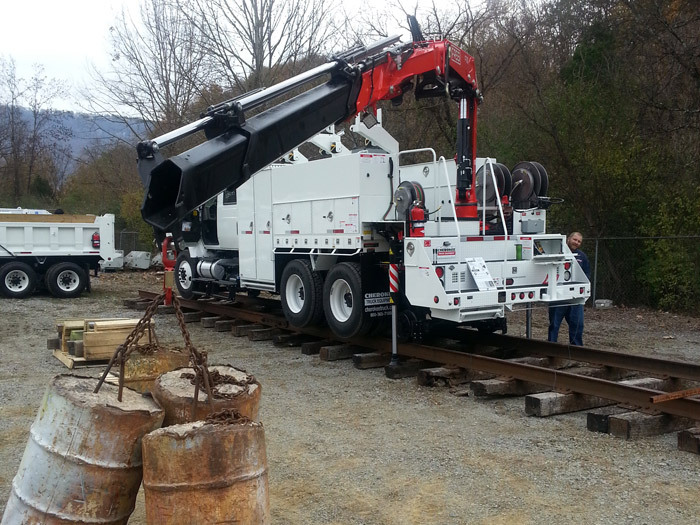 Thanks to all involved! 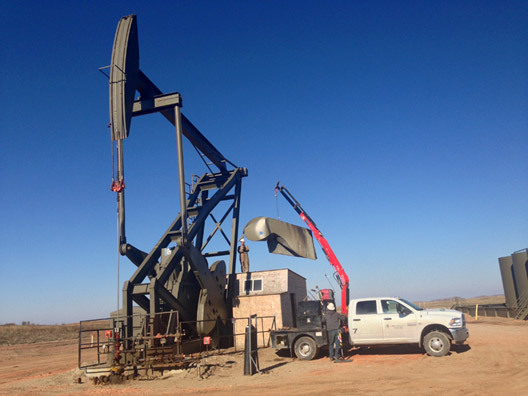 This photo shows a roustabout crew from Baker Consulting using their truck mounted Fassi crane to remove a damaged belt-guard from a pumpjack on a wellsite in western North Dakota. 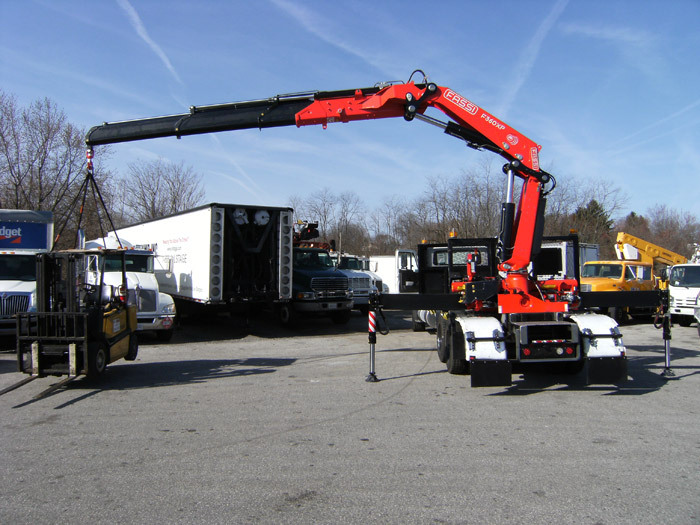 Tim Huggins, Engineering Manager of Fascan International, Inc. did a great job with this design for Fassi dealer RMS Westminster in Westminster, Maryland and the end-user will be very happy with the results. 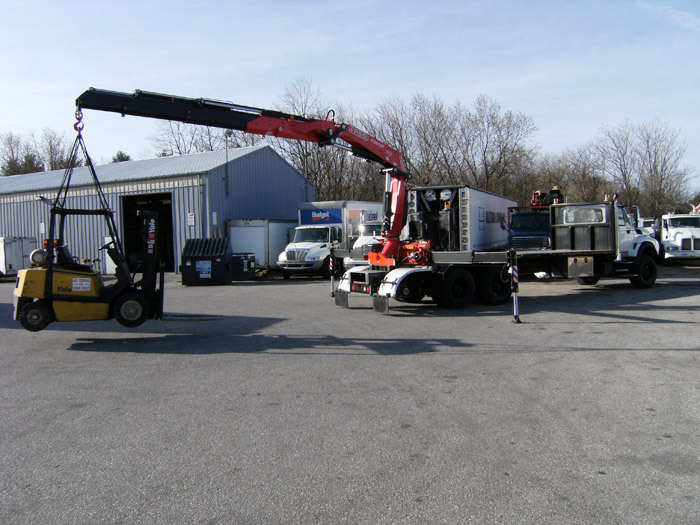 The truck was very stable at 360 degrees while lifting a forklift weighing 10,000 lbs. For more information on RMS Westminster, visiti www.rmswestminster.com. 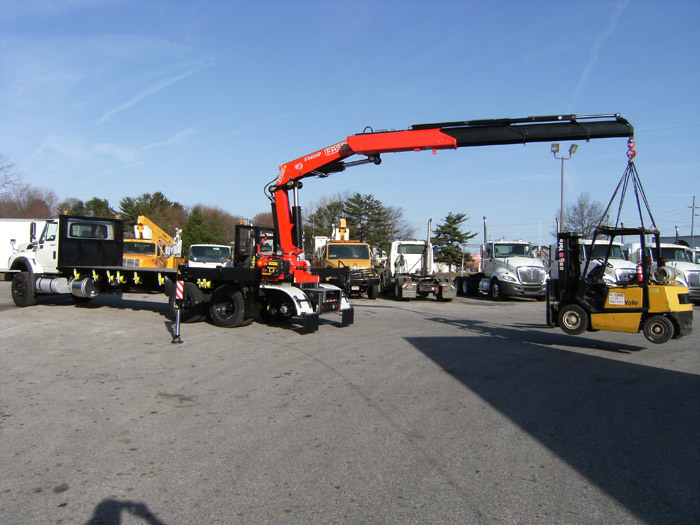 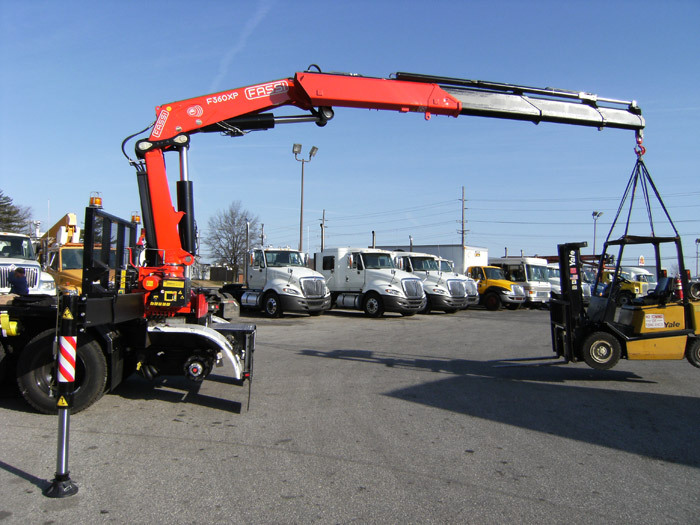 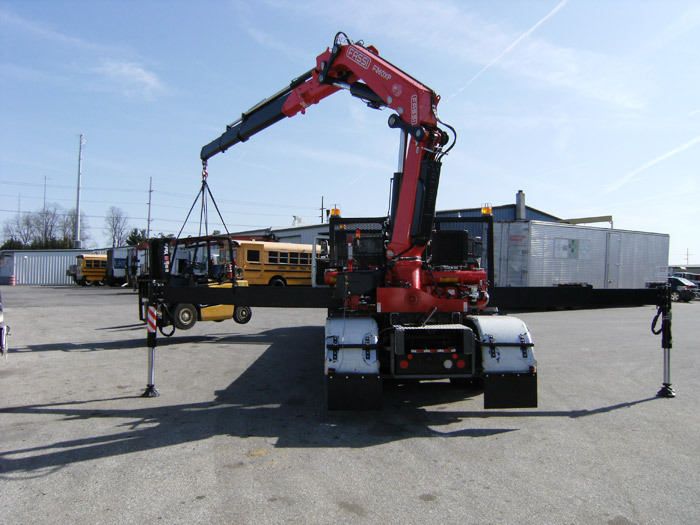 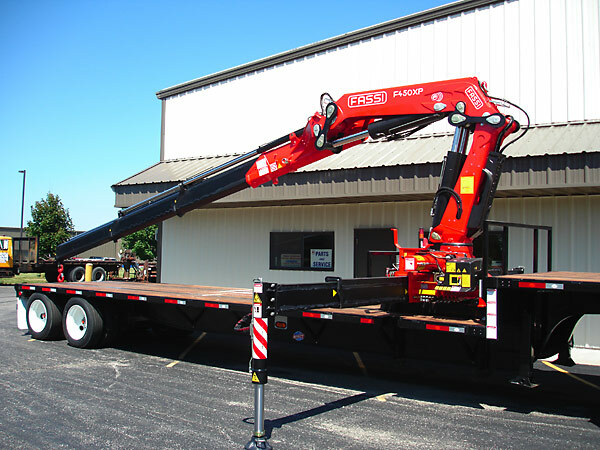 Fassi is pleased to welcome yet another long-time Palfinger user to the family. 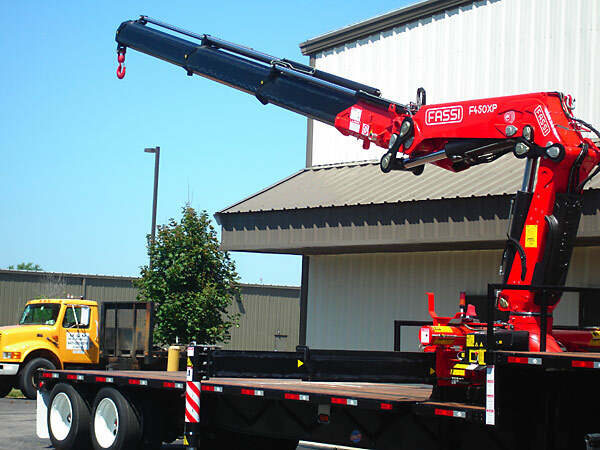 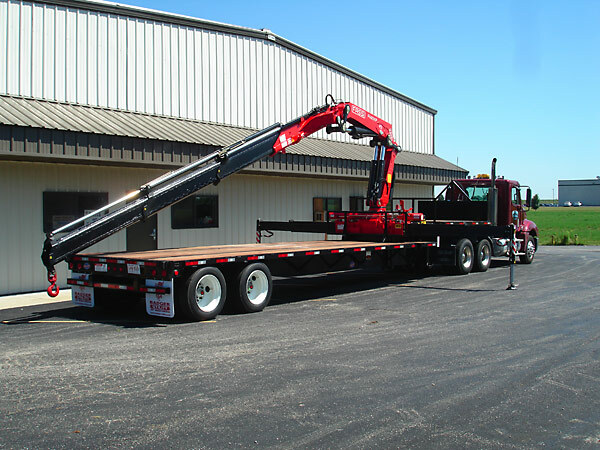 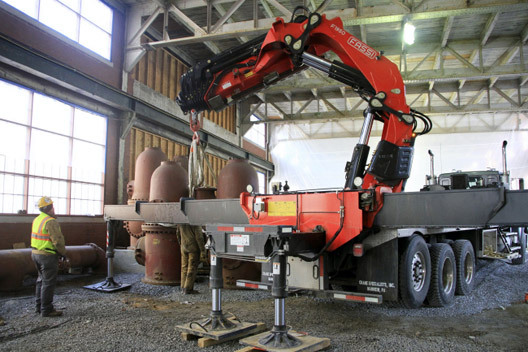 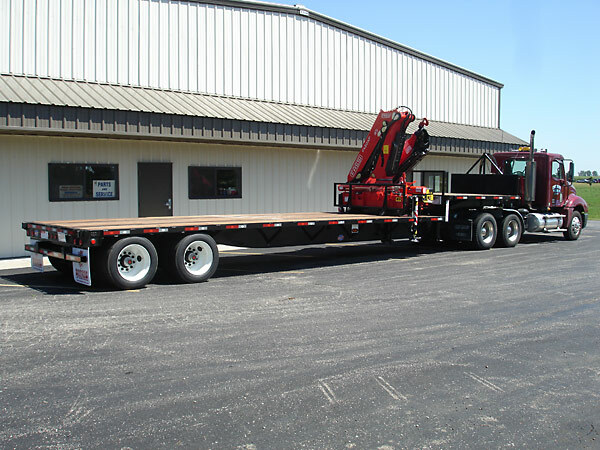 Superior service and support by Fassi and Fassi dealer Crane Sales, Inc., has helped a precast concrete supplier in the Midwest select the right Fassi crane for the moving of heavy precast units, delivered it before it was promised, and made sure installation and training was done smoothly and efficiently. 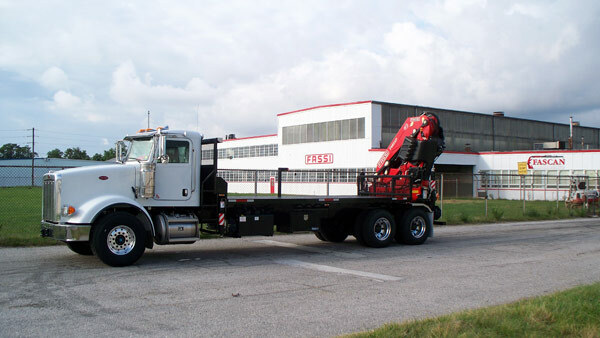 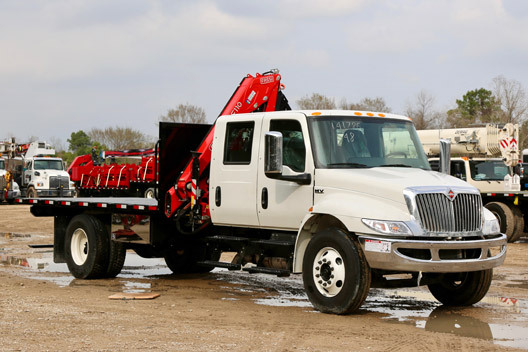 The newly-added Fassi F450BXP.23 is the company's 4th unit, and according to the company's owner, it will not be the last. 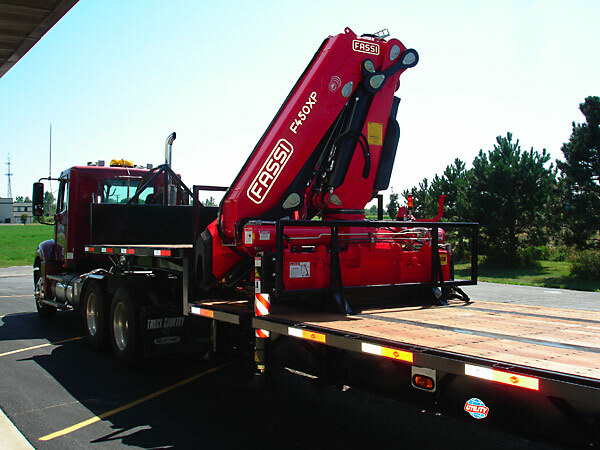 Crane Sales, Inc. has more than 50 years experience in doing quality crane installations, including two Fassi F110.23s on a 600-foot gasoline tanker in the Great Lakes to support fuel transfer to other vessels. Norton Truck sold by Rush Crane upfitted by Fascan International. 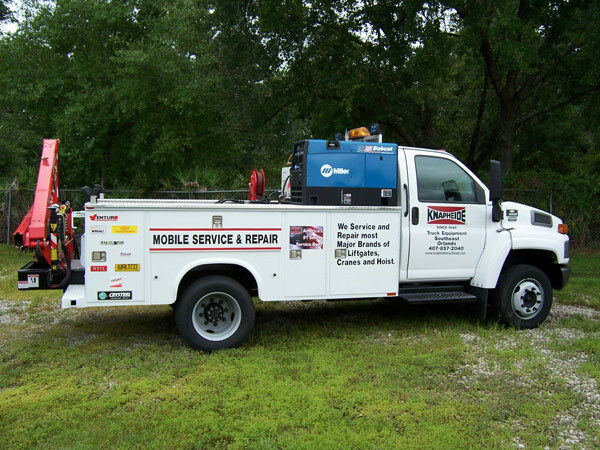 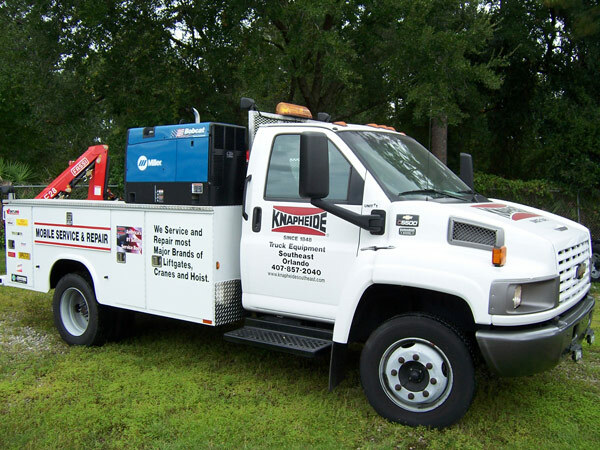 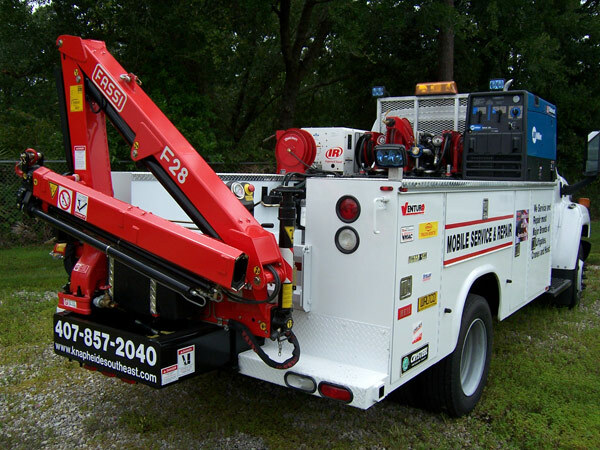 Mechanic's truck built by Knapheide, equipped with a FASSI F28A.22 crane. 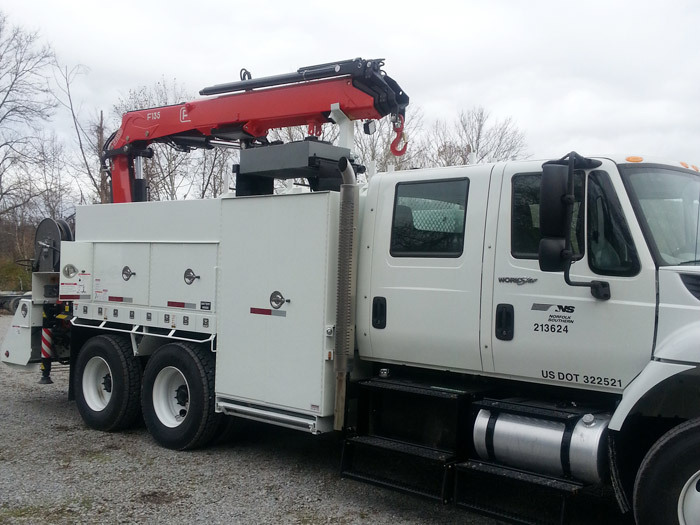 Truck built by Carco Industries. 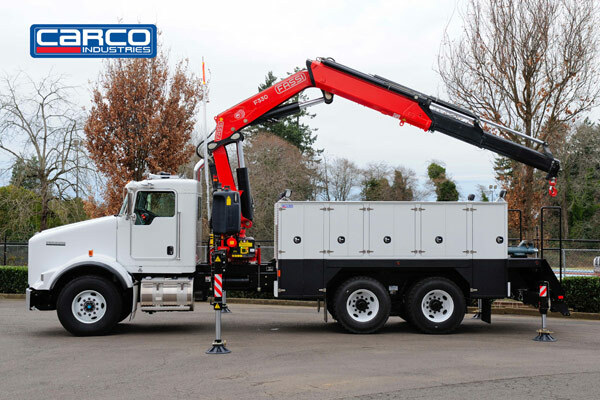 Contact Charley Schimmels at (503) 612-6557 or cschimmels@carcoindustries.com.